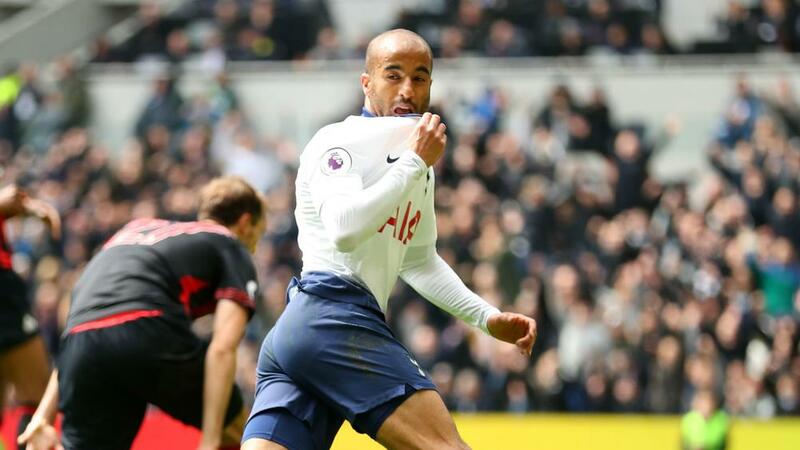 Lucas Moura stepped up impressively in the absence of Harry Kane and Dele Alli by plundering a hat-trick for Tottenham in its 4-0 Premier League win over Huddersfield Town on Sunday (NZST). Kane is only likely to feature again for Spurs this season if it reaches the UEFA Champions League final after suffering an ankle injury in Wednesday's (NZST) quarter-final, first leg victory against Manchester City, while Alli injured his hand in the same game. Mauricio Pochettino's side initially struggled to break down their already relegated opponent, but two goals in the space of three first-half minutes from Victor Wanyama and Lucas set them up for the most routine of victories. Lucas added two more in the closing stages as Spurs moved a point ahead of Chelsea into third ahead of the Blues' clash at Liverpool on Monday.